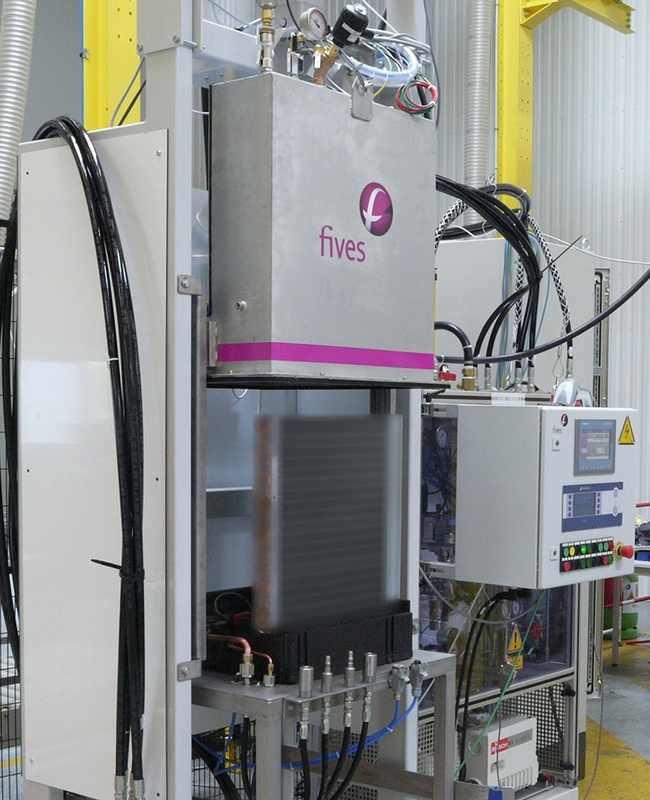 Fives has just completed the commissioning of leak detection equipment for Airpac, the ALDES group's manufacturing site located in Chatillon en Vendelais (France). The ALDES group is an expert in ventilation and thermal comfort solutions. In 2017, they developed the T.One® AquaAIR, a new air heating solution that captures the calories contained in the outside air to diffuse heated or cooled air into the home, while ensuring the production of domestic hot water. In order to guarantee the quality of its product, the ALDES group asked Fives to install equipment to detect any leakage greater than 3g/year on 100% of its production. To meet this demand, Fives offered its Ventilated Chamber technology. This system is based on the placement of T.One® AquaAIR in an atmospheric pressure chamber, pressurization of T.One® with a Helium-Nitrogen mixture, and measurement of the increase in Helium concentration in this chamber. This measurement is performed by Inficon's latest mass spectrometer, the LSD3000AQ. This project was the first installation of an LDS3000AQ in the world. The LDS3000AQ is extremely sensitive and can detect leaks of up to 10-5mbar.l/s, making it particularly suitable for the ventilated chamber concept. Fives has combined its expertise in chamber design, air flow optimization, and integration, for the delivery of complete solutions. According to Gaël Le Floch, Airpac Site Manager: "As is often the case in this type of project, not everything has been simple. But in the end, Fives' support allowed us to obtain a result that gave complete satisfaction in terms of performance and ergonomics. It has allowed us to achieve the required production rate and level of testing”. as well as a complete range of refrigerant gas filling machines.